On Feb. 2, 2019, Dr. Alvaro Ordonez, a seasoned spear fisherman, headed out for another day on the water with some friends. His dive that day would be different than any he previously had experienced. Shortly after shooting a jack, Dr. Ordonez and his friends spotted as many as four very large bull sharks. One swam directly past his struggling catch, straight toward his arm and bit down. Not likely according to witness accounts. The fact that the shark swam past a struggling, bleeding fish, as well as the relative minor severity of the bite suggests that the shark may have been behaving in a territorial manner, perhaps viewing Dr. Ordonez as an intruder in its hunting grounds. As Dr. Ordonez began to struggle and bleed, the bull sharks’ behavior became increasingly aggressive. Weak and bleeding profusely from his wrist, a friend grabbed Dr. Ordonez at his neck and hauled him into the safety of their boat. He is expected to make a full recovery following surgery to repair the damage. Bull sharks are notoriously territorial and short tempered. According to International Shark Attack Files, they are responsible for the third highest number of unprovoked attacks falling just shy of the tiger shark. However, an attack while spearfishing is considered to be a provoked attack, and fewer statistics are available for these cases. Is Dr. Ordonez’s attack an isolated incident? How common is it for sharks and spearo’s to interact? Many stories and videos support the idea that encounters happen routinely. Most of these instances result in a free lunch for the shark and a good story for the spearfishermen who often shrugs it off as a visit from the Taxman. 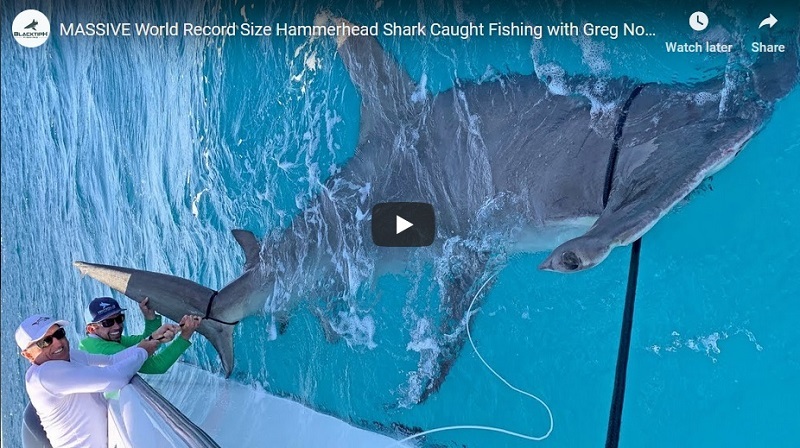 In the above video, a spearfisherman witnesses the tenacity of a small, but determined blacktip shark attempting to steal his catch. In contrast, the spearfishermen below witness the persistence of a much larger tiger shark. 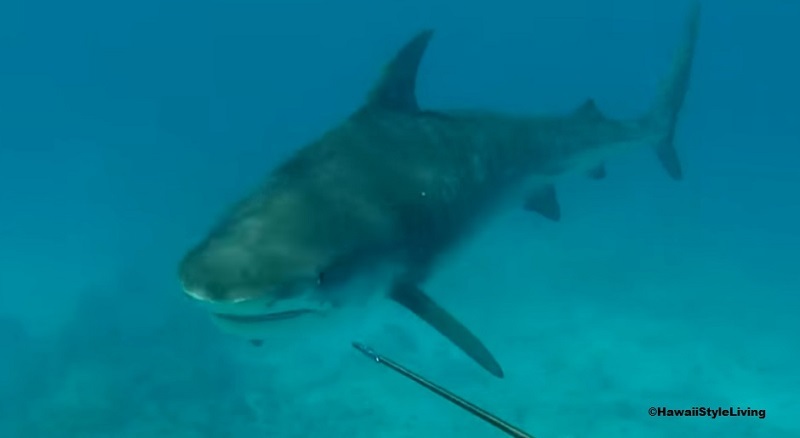 One question that often arises when viewing these videos is as to why divers don’t abruptly retreat from the shark or simply forfeit their catch. Many spearfishermen argue that retreating and forfeiting the catch are actually two of the worst things you can do when confronted by a shark in these situations. Frantic motion may excite the shark(s) and incite an attack. Giving up your catch may help sharks associate spearfishermen as a source of an easy meal, jeopardizing the safety of other divers. New Zealand Fishing World recommends two good ways to improve your safety while spearfishing in the shark’s domain. First, quickly secure your catch to reduce attracting unwanted attention from a shark, and if one appears nearby, maintain eye contact with it. Ron Babington is a recreational shark fisherman with a love for promoting a better understanding of the invaluable role of sharks in our ecosystem and how to safely coexist with them. His previous contribution is titled Big sharks. Inhabitants of the abyss or residents of the shallows? and covers the travel patterns of large sharks.